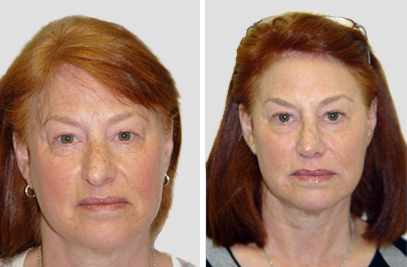 Eyelid lifts can either be done alone or together with face and neck lifts or eyebrow and forehead lifts in NYC. If done alone, the operation takes about one and a half hours for all four eyelids. 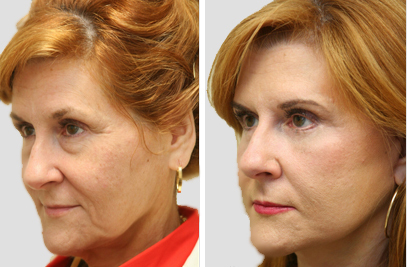 The upper eyelid skin is removed through fine incisions placed in the upper eyelid creases. The fat is trimmed through the same incision. A fine suture is used to close the skin and is removed four days later. 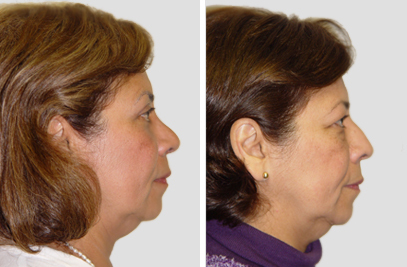 The lower eyelid fat is removed through an incision on the inside of the eyelid, so there is no visible scar. Furthermore, this incision is safest as it leaves the supporting muscles of the eyelid undisturbed. If there is extra skin of the lower eyelid, it is removed through a fine incision in a wrinkle just beneath the eyelashes. 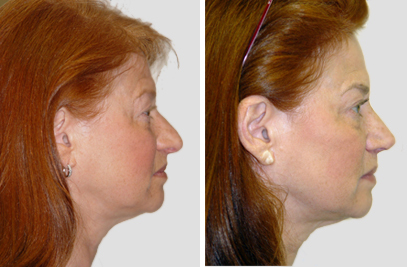 ∗Recovery from eyelid surgery in NYC is complete within seven to ten days. A small amount of lumpiness is usual at the corners of the eyes. Minimal blurry vision rapidly resolves. Sunglasses allow you to go out in public immediately after Eyelid Plastic surgery, and make-up can be worn within five days. Normal activity and exercise can resume three weeks after surgery. 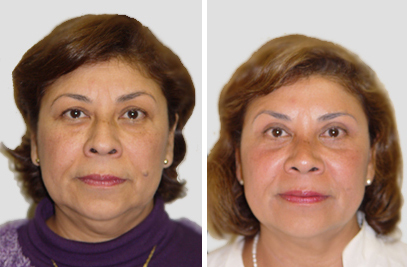 We sometimes combine eyelid lifts with new procedures called endoscopic eyebrow and forehead lifts to improve the height and maintain the contour of the upper eyebrow. 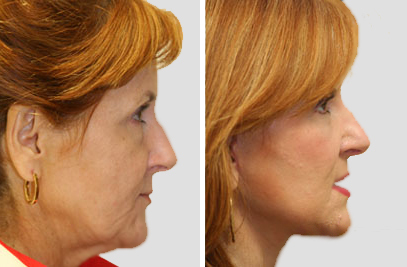 We will discuss whether you might benefit from this combined procedure or a non surgical face lift in NYC during our consultation.